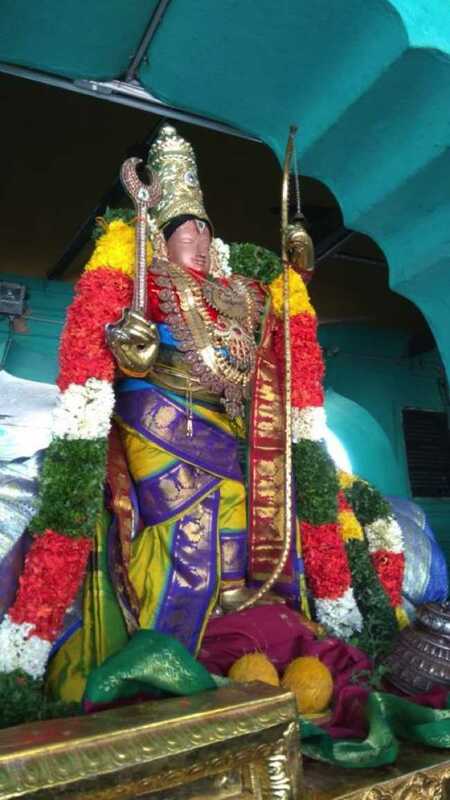 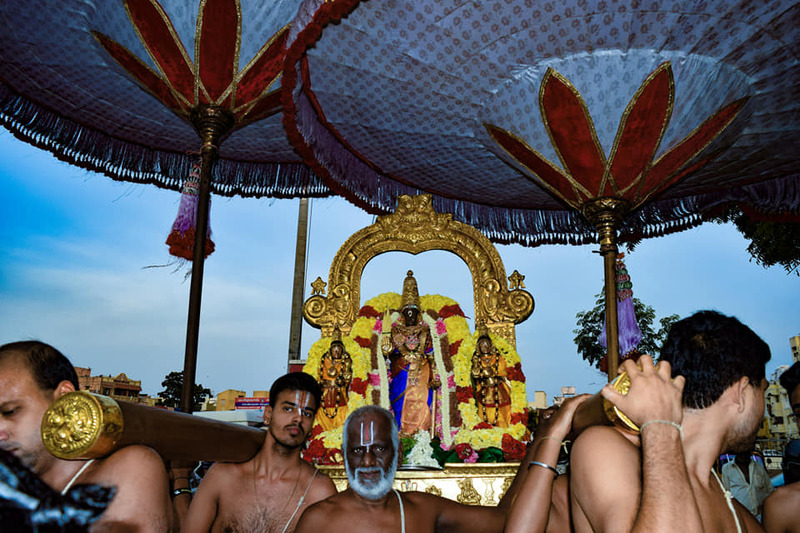 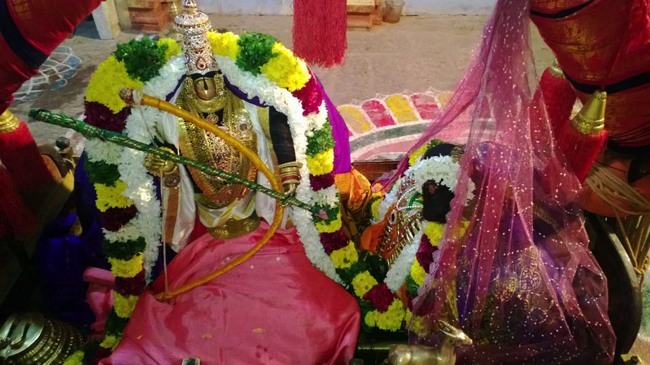 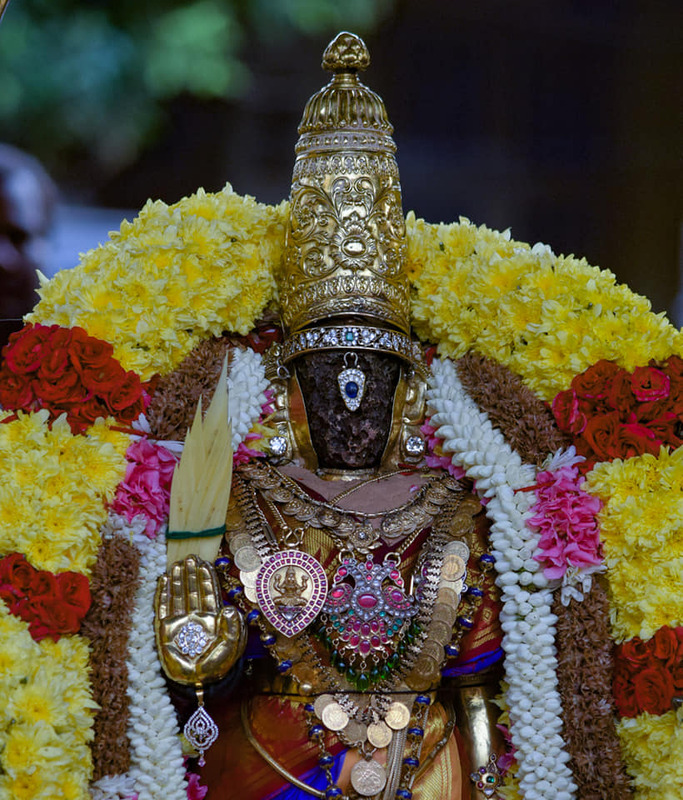 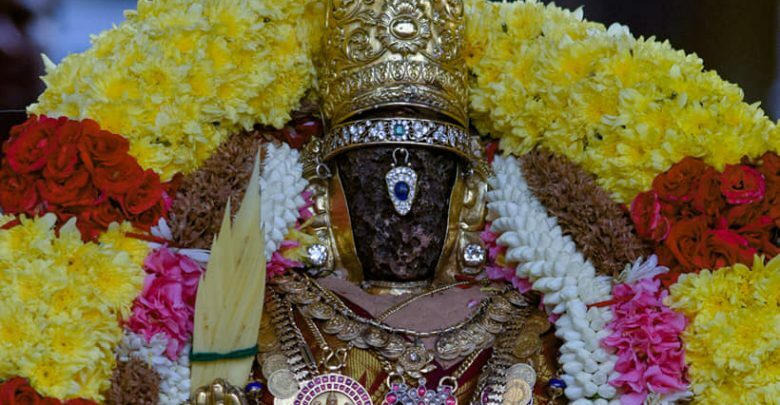 On 27th October 2018, SriVilambi varusha Aippasi Rohini purappadu for Perumal took place at Thiruvallikeni Sri Parthasarathy Perumal Temple. 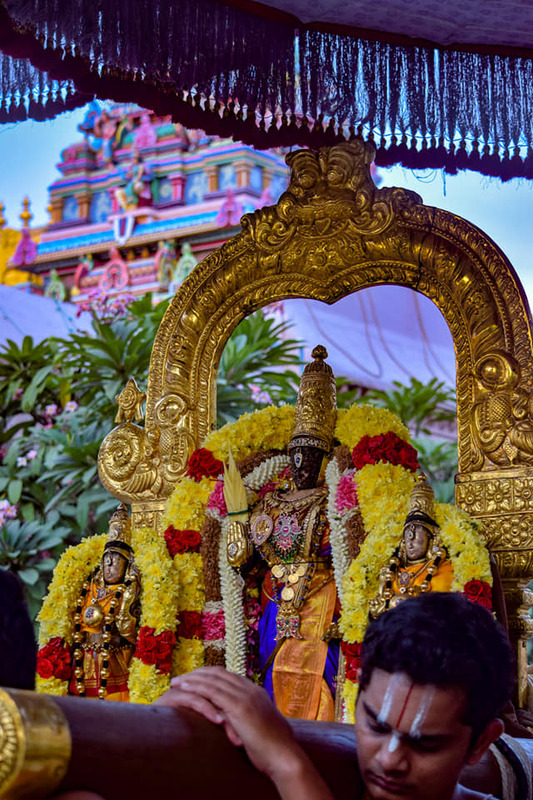 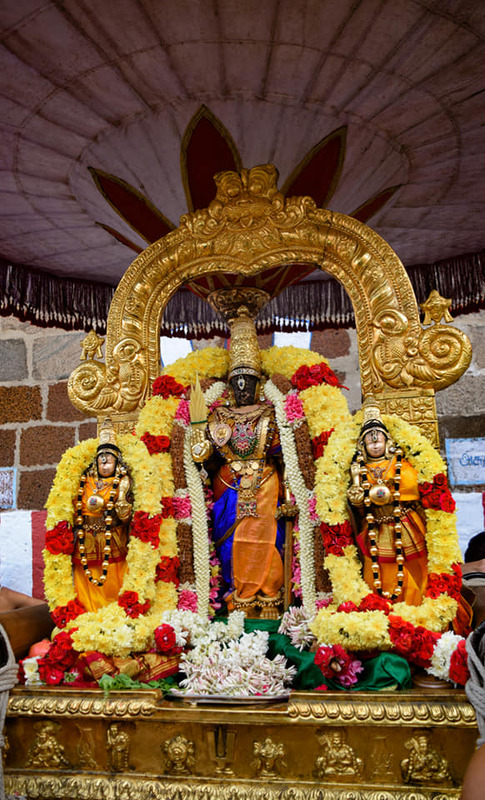 Perumal wore a good combination of orange and blue vasthram and adorned kaasu malai, stone studded ornaments, as well as beautiful, fragrant and fresh flower garlands of red rose, sevvanthi and jasmine. 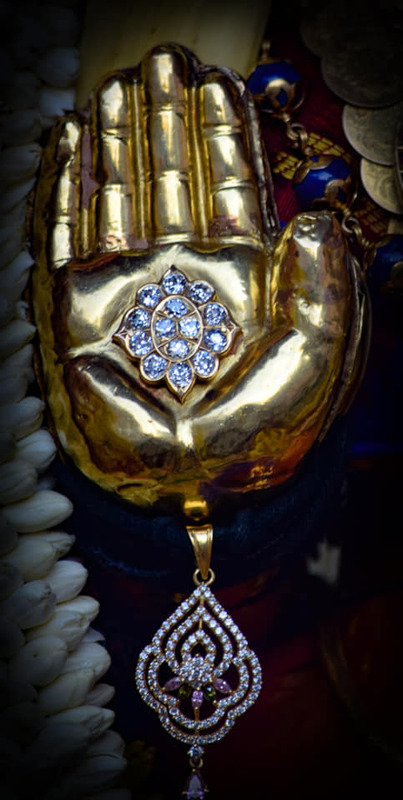 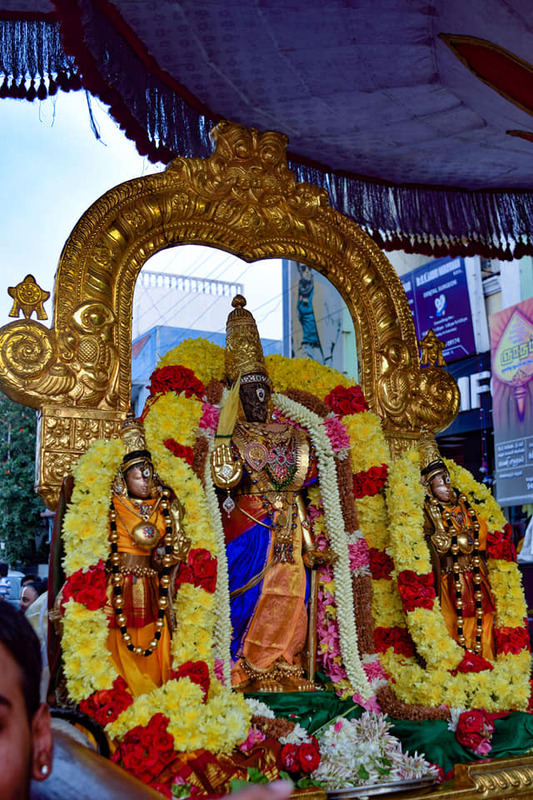 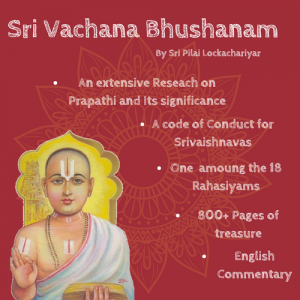 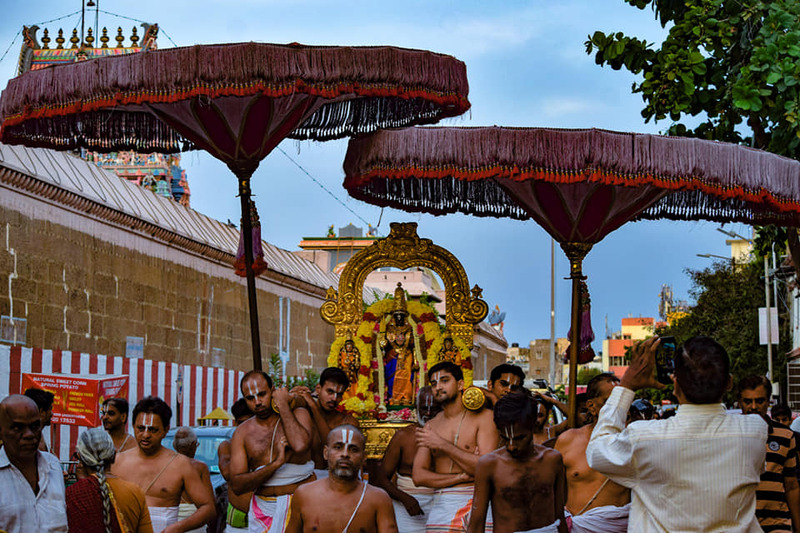 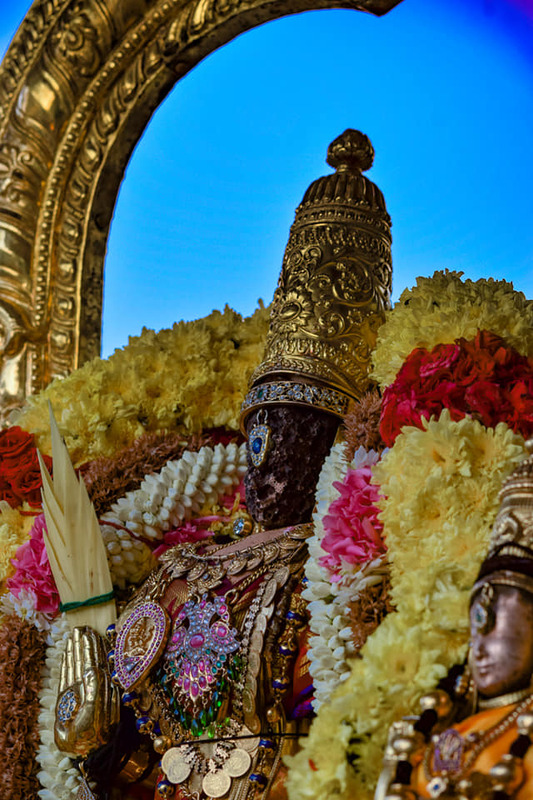 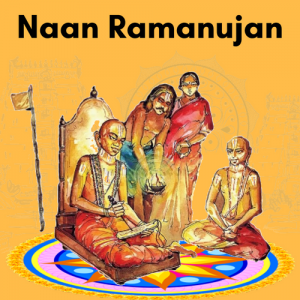 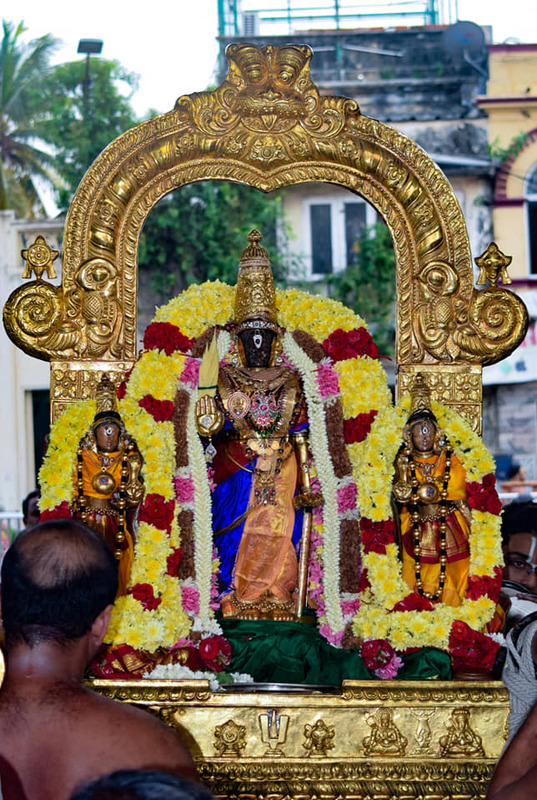 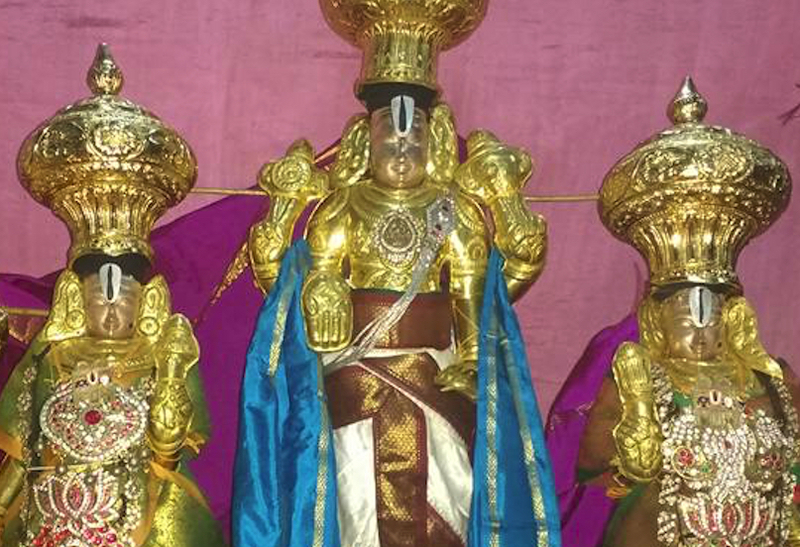 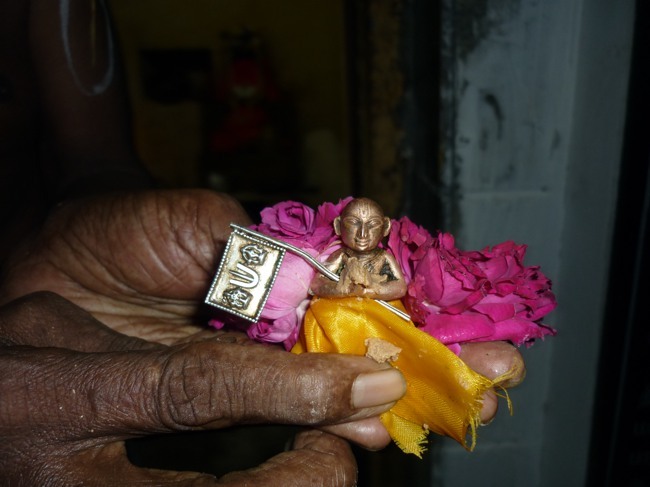 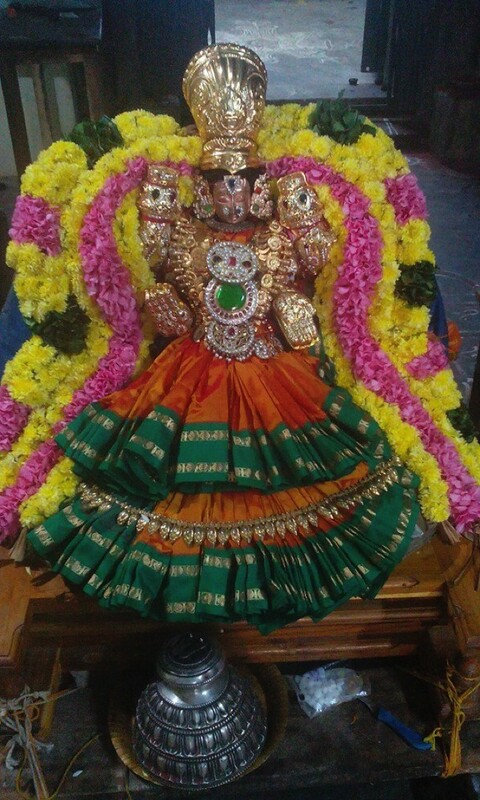 Sri Parthasarathy and His Consorts had purappadu in the temple streets on the occasion. 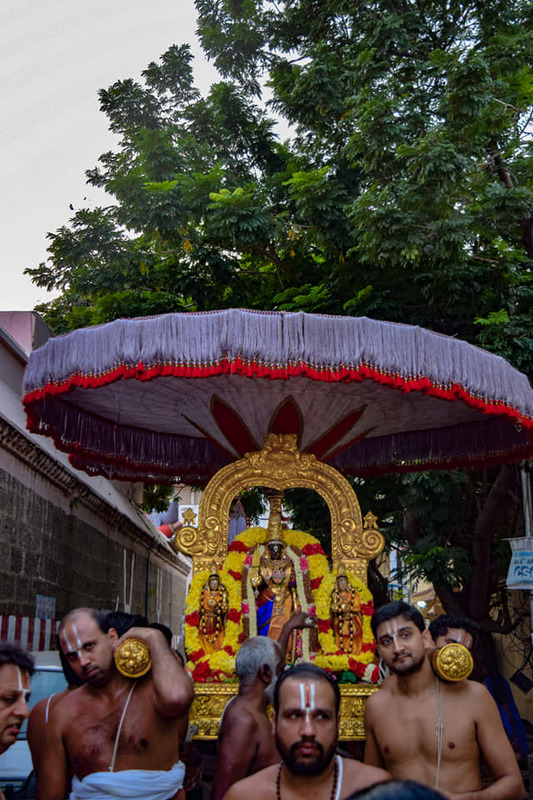 Several astikas participated and had the blessings of the DivyaDampathis.